Zell am See is one of Austria's most significant ski resorts; it is not a rustic Austrian village, but a smart lakeside resort town with a charming old centre. Zell am See has a lovely town centre; on the edge of large lake, which often freezes in the winter. The Schmittenhöhe Mountain (2000m) - Zell, the Kitsteinhorn Glacier (3202m) and the Maiskogel (1675m) both in Kaprun, all together make up the Europa Sports Region. 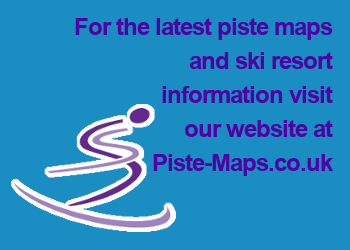 The 130km of pistes have a lot of variety and some challenging terrain, including the World Cup Run, and year round glacier skiing. Zell am See is a year-round holiday destination that doesn't rely entirely on skiers; its main activity is hiking and marked paths are kept open through the winter, even at high altitudes, with the 2,000m Schmittenhöhe Mountain having the best views. The views are even better if you take off from the Schmittenhöhe attached to a paraglider. Or you can head below sea level - into a 40km limestone cave system. Also on offer: skating on the lake, ice sailing and snow kiting (kite surfing on snow), horse riding, ice driving, tobogganing and even a rifle range, along with miles of Cross-country Skiing, before relaxing in the fantastic Tauern spa Centre. Europa Sports Region: 132km. 42% beginner, 35% intermediate, 33% advanced. Zell-am-See: 2 Cable cars, 4 Gondolas, 10 Chairlifts, 11 Draglifts. Europa Sports Region: 7 Gondolas, 4 Cablecars, 18 Chairlift, 22 Draglifts. Good for non-skiers. Nearby Kaprun Glacier. Charming old town with lively, but not rowdy nightlife. The low sunny slopes often have poor conditions despite snowmakers. Distance to the lifts from much of the accommodation. Long queues for at The Kaprun Glacier.